REDDING, Calif. - Four Simpson University professors will be among dozens of presenters at an AAUW Women in STEM Conference on campus Saturday, March 12, designed for girls in sixth through eighth grades. Biology professors Shani Golovay and Suzanne Vincent, and nursing professors Linda Henrich and Gerlinde Nosek will give sessions on chemical science, physiology, and nursing, respectively, during the 8 a.m. to 2 p.m. conference co-sponsored by the American Association of University Women (AAUW), Simpson University, and Shasta County Office of Education. The conference is designed to increase young women’s awareness of career opportunities in STEM (science, technology, engineering and mathematics) and give them an opportunity to meet and form contacts with professional women in STEM-related fields. The 270 girls registered can learn about and talk to professionals in areas including crime scene technology, piloting, animal husbandry, civil engineering, veterinary medicine, optometry, psychology, and much more, said conference co-chair Pris Brutlag. The event will also include 50 teachers and parents, as well as AAUW volunteers and presenters. Learn more about the AAUW Women in STEM Conference here. Dr. Shani Golovay, assistant professor of biology, is a plant biologist who received her Ph.D. from Mississippi State University in Plant Biochemistry and Genetics. She has worked for Monsanto and University of Florida investigating toxicology in pesticides and how genetics reduces pesticide use. She has taught at the University of Florida, St. Louis Public Schools, Wheaton College, California Baptist University, and Greenville College. She has also lived in Austria and Ukraine. Dr. Suzanne Vincent, associate professor of biology, has taught at several universities. Her research specialization is neuromuscular. She is a certified senior fitness instructor and has worked with elderly persons to help them maintain their physical fitness. 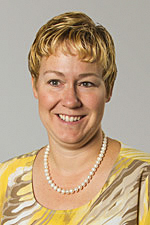 Suzanne Vincent has published in Experimental Neurology, Movement Disorders, Archives of Physical Medicine and Rehabilitation, and other journals. She is also certified in cognitive fitness and has worked with Alzheimer patients. Linda Henrich, assistant professor of nursing, is a native of Redding Calif., and completed her ADN at Shasta College in 1997. She has experience in medical surgical nursing, cardiac care and emergency nursing. 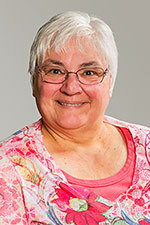 Most recently, Linda served as the trauma coordinator at Mercy Medical Center in Redding. 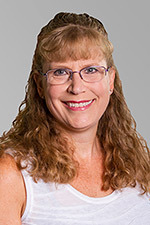 After earning her master’s in nursing education in 2011, Linda has provided education to all levels of the healthcare team covering topics in trauma, emergency pediatric nursing, crisis intervention and community injury prevention topics. Linda is the geriatric content expert for Simpson University’s School of Nursing. 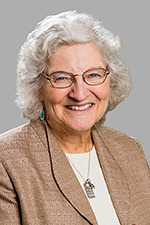 Gerlinde Nosek, assistant professor of nursing, has 37 years of nursing experience in various fields of nursing including nursing education. Her main focus in nursing has always been the critical care areas. She has also been a house supervisor overseeing a 600+ bed hospital, a unit manager, and a clinical educator. Learn more about Simpson University’s biology program and School of Nursing.